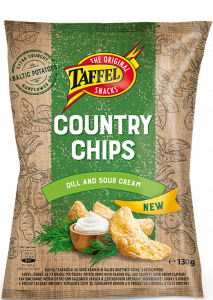 Country chips are unique, because they taste just like home-made. 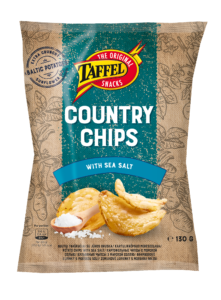 We cook potatoe slices with sunflower oil, add specially selected seasoning. 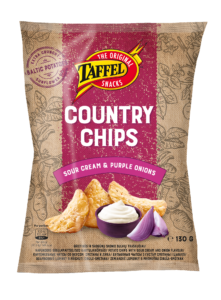 Due to the special cooking method, Country chips gain emphatic crunchiness and potatoe flavour.